The FINANCIAL -- Amazon.com Inc. disclosed its latest bet to control the so-called smart home, adding to its fold a company that offers a Wi-Fi system that ditches the traditional router. Seattle-based Amazon AMZN, +0.18% and fellow tech giants Alphabet Inc.’s GOOGL, -0.02% GOOG, +0.00% Google and others have been racing to use voice assistants to control everyday devices to promote their services — and glean valuable consumer data. By buying Eero — a company that promises no Wi-Fi dead zones by deploying a customizable armada of small wireless routers around the house — Amazon will go head-to-head against Google’s OnHub. Financial terms weren’t disclosed, but Eero was valued at $251 million in a 2016 private financing round, according to an estimate by Sand Hill Econometrics. The San Francisco startup raised almost $100 million in venture capital from investors including Index Ventures, Initialized Capital and Menlo Ventures. 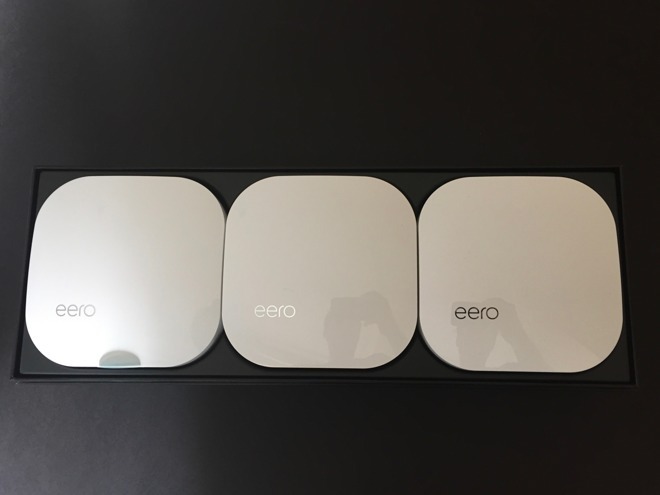 Like OnHub and Luma, in which Amazon had invested earlier, Eero offers what is known as mesh Wi-Fi networks, with access points installed around the house or an office that allow devices to connect with the closest wireless access-point without changing networks.